I write this post with excitement, great Joy and hope for the future, as I continue my journey into medical school. As most of you know with help from Miss Peggy Stranges and Sol foundation I applied to and passed the admission testing, making more than the minimum requirement to enter medical school in Honduras in the summer of 2011. My road to medical school has been challenging at best, as few students in my situation have tried to gain access to medical programs and succeeded, and of those who succeed to get in even fever actually get thru the program. I was born in less than ideal circumstances and have had and uphill battle all the way constantly beating long odds to overcome the challenges of life. I am the oldest of four siblings, and while growing up very poor with a single mother who did and awesome job considering the circumstances, I truly am a product of my family and communities hard work and perseverance, there are so many people that have invested time and energy in my journey way long before they even knew I was headed to medical school, Like Ptolemy and Neysa Matthews, and Joelle Fehlauer who came down to Honduras to volunteer time in a christian school I attended,all of whom made and incredible impression on me at a time when I was really struggling, fighting battles they knew nothing about. I worked for three years at the local hospital in roatan, it was here that I truly became inspired me to dream big and go beyond the expectations of my neighborhood. I know that inequities exist, and my curiosity for healing and justice deppened. I have made it my personal mission to improve conditions that prevent others from having equal treatment and access to education and healthcare resources. I have made it my mission to ease human suffering I believe this is the reason I was born. My friends and mentors have said that I am a trailblazer, that I have taken the road less traveled, and that in the face of insurmountable challenges , I have overcome the greatest of obstacles. The reality is that I have had much help to be where I am today, and at every step of the way, I have encountered and relied on the kindness of friends, neighbors, teachers, and mentors to teach me and guide me through the process. Now once more I must rely on the kindness of others to help me through my next step in medical school. 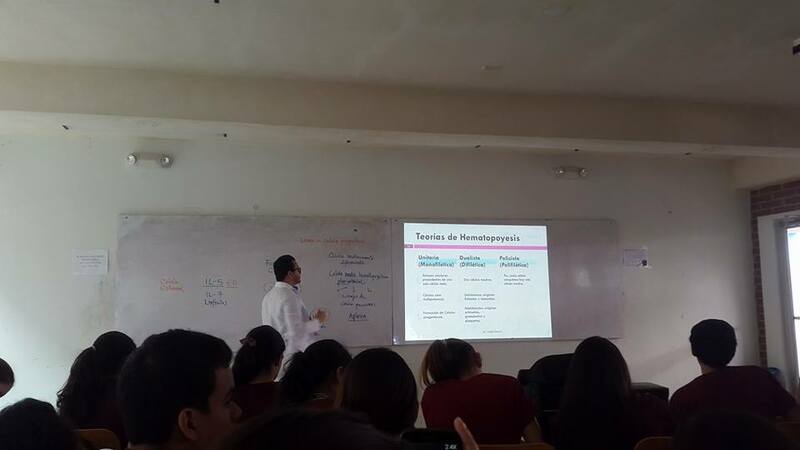 Because Honduras really does not offer formal financial aid programs, or student loans, especially for poor people in medical school who´s parent has no valuable assets . I must fundraise to cover my medical school expenses in order to see my dream of becoming a community doctor come true. While I worked to pay my own way through high school, I am unable to work as a medical student due to the high volume of classes and information I will be required to learn over the next few years. I receive a partial scholarship from the foundation for the advancement of people administered by SOL foundation. which comes under review each year. This agreements as most of you probably already know requires that I raise part of the funds I need from the community. It takes about 7000 dollars per year for me to stay in the program. I have a formula thru which Sol and Rotary provide roughtly 75% of this which leaves me to raise 1750 dollars per year. I have done this the past two years online with help from many friends. Well it is October I am about done with this year and it is time to do it again friends. I will be meeting with rotary and Sol in December to determine plans for the next year and whether they will continue funding me or not. But how about we start to raise our share and exceed it by them. I got help raising funds for this year from so many of you. Tricia, Anna, Nicki, Jennifer,Mark, Roatan homes, Peggy, Dave and so many others shared my story and helped me raise the funds I needed for this year in about two weeks. Friends, today I humbly ask you to dream with me. I am asking you to once again support my goal of becoming a physician by helping sponsor another year of my medical education, It would be impossible for me to do this without your help. My goal is to fundraise at least the 1750 dollars in order to help meet the 7000 dollars I will need for the next school year. . I am doing what I can in applying to scholarships, finding alternative measures of funding, and now asking for your support. I know there are many other needs and I have seem so many request for money lately on Facebook for so many good causes, I also know that while we would like to help everyone there is only so much we can do. I have lamented how politicians are able to raise so much money from so many donors while many charities are lacking funding. But the truth is one of the reasons they are able to do so is because a lot of people know about them. Friend one of the best things you can do besides chipping in yourself is making sure to share this with your friends. I know there are many people who would be glad to help if they only knew about my dream and my story. After all, all I need is 1750 people to donate 1 dollar. As I have mentioned before I am only able to continue on this journey because of the generous support of people like you, I would really appreciate it if you would go over to sol foundation website and make a donation of any amount to help me thru next year and to help me complete this program. I assure you I will honor that donation in loving service, and by making sure I am doing everything I can to pay it forward. Just make sure to type Natan Webster in the dedication box. Every penny sent to sol with the dedication line Natan Webster is administered to my scholarship Program, and is a foundational stone in helping me become a doctor with a message and a mission in Honduras. Cesar words resonate with my life goals of community work — “We cannot seek achievement for ourselves and forget about progress and prosperity for our community… Our ambitions must be broad enough to include the aspirations and needs of others, for their sakes and for our own.” I believe in the power we have as a community and hope that you can help me reach my dream of becoming a physician. Thanks to the support of many I am about to finish and will soon be posting grades for macro-anatomy, neuro-anatomy,embryology,histology, and public health. I proudly continue working hard to be a community doctor. I continue to dream of helping and healing people and with your help, I will be one step closer to creating a healthier, and more just world for all of us. Please go on over to SOL today and chip in making sure to type Natan Webster in the dedication line, and please make sure to share this post with your friends. Also remember that all donations made via SOL are tax deductible.